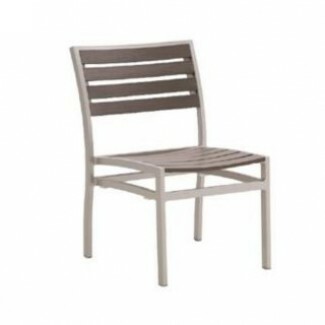 Our Miami Side Chair is built to withstand high-traffic restaurant environments, while maintaining elegant craftsmanship and contemporary flair that will add an upscale element to your outdoor dining area. 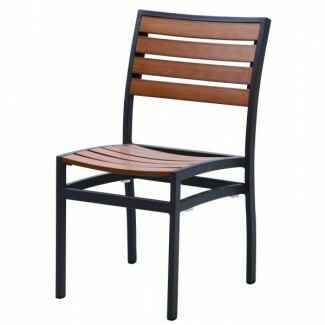 This chair features a rust-proof aluminum frame and composite teak slats. Appropriate for indoor and outdoor use. 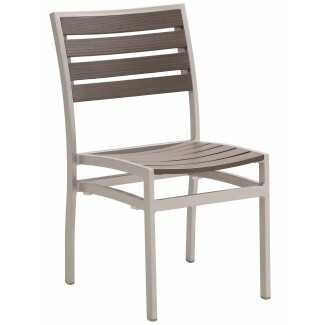 These chairs are also stackable making them ideal for quick and easy storage.